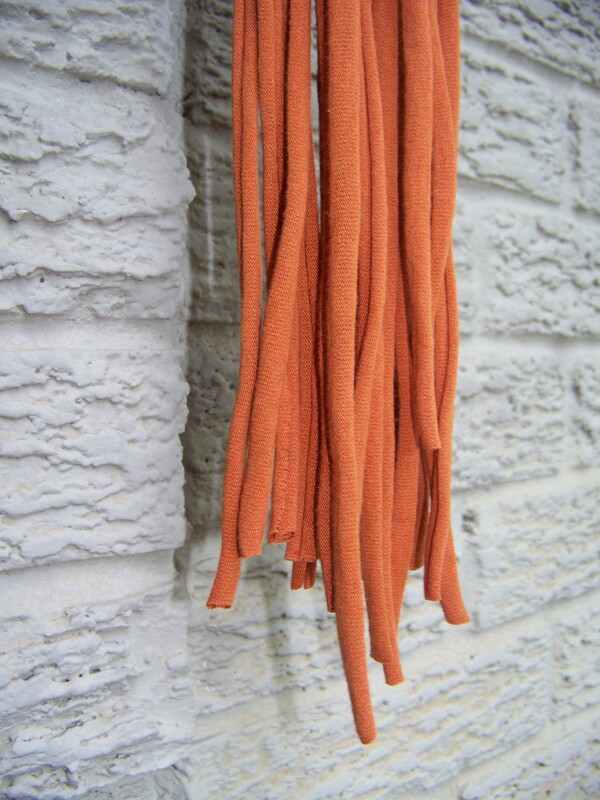 I cut up an old t-shirt and made lovely yarn (see last Monday’s post for a tutorial). I found all sorts of really fun projects that could be done with this new yarn of mine and decided to start with a necklace. Now I actually cut this yarn out differently than the tutorial says and I’ll explain that here. 1. 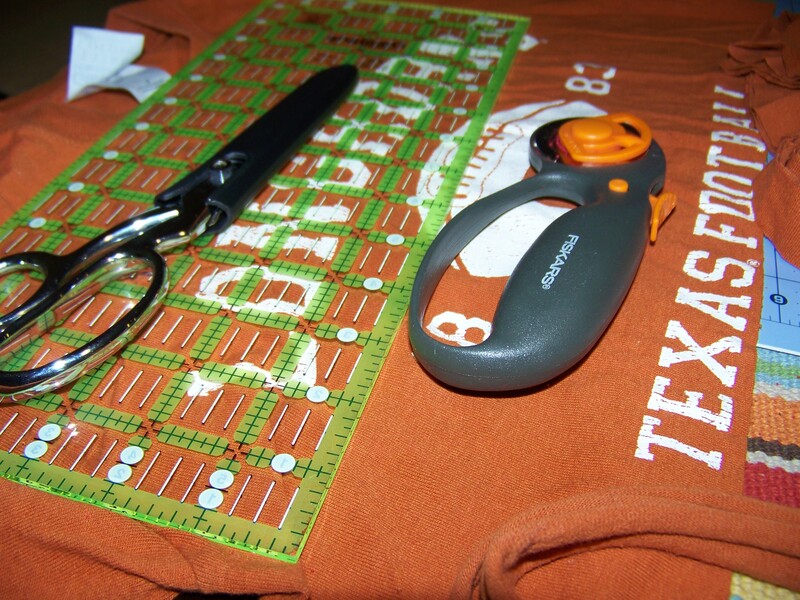 Lay out the tshirt you want to cut flat on your cutting board (if using a rotary cutter). 2. 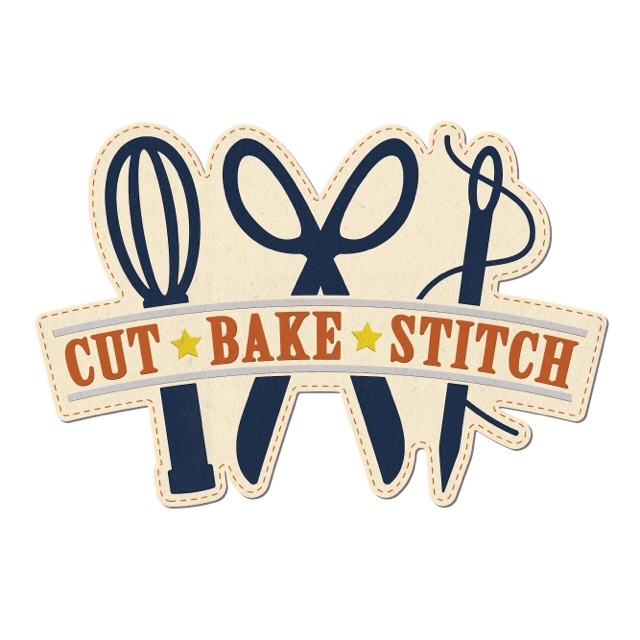 Cut the shirt just below any text and right above the hem at the bottom. 3. Cut this portion of the shirt into strips so you end up with loops the width of the tshirt. They can be as small as 3/4 of an inch to 2 inches. The shirt will fold into itself so it shouldn’t be too big or too small. I cut mine 1 inch wide. 4. 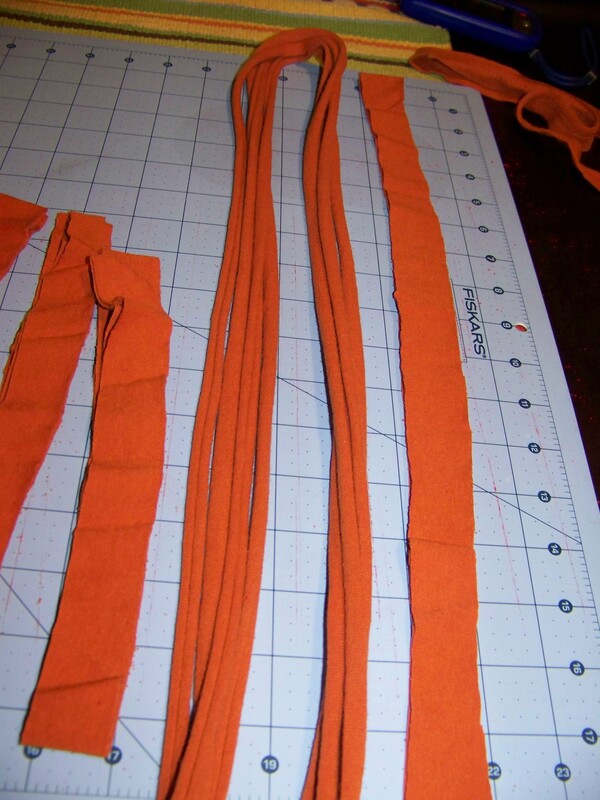 After they are cut, pull the loops until they fold over and look like yarn. 5. 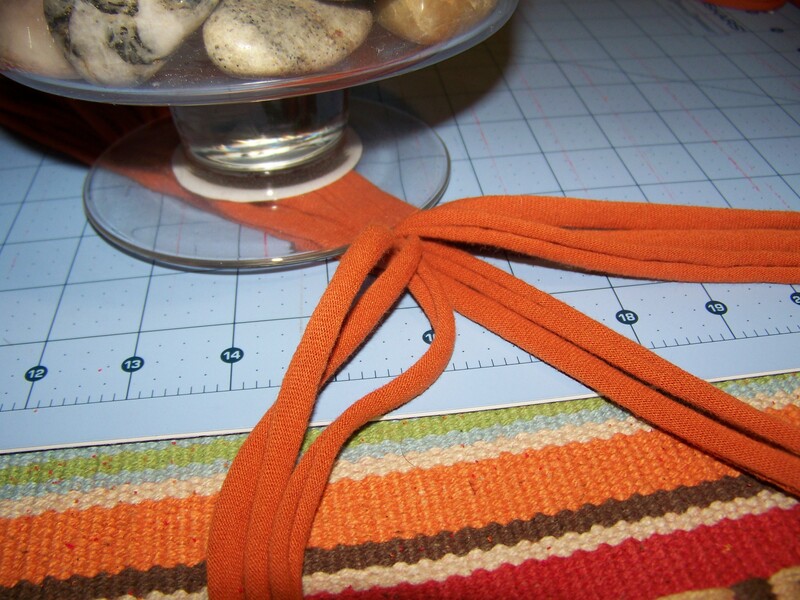 Cut one end of the loop to have one long strand of tshirt yarn. 6. 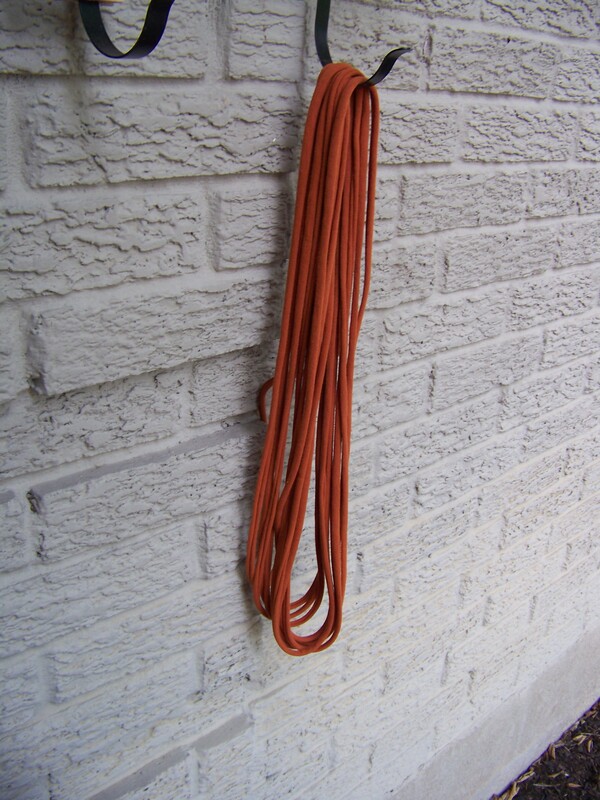 Leaving anywhere from 3–12 inches remaining, secure the clump of yarn (minus one piece to use at the end for tying) under a heavy piece of furniture or vase so you can braid a tight necklace. 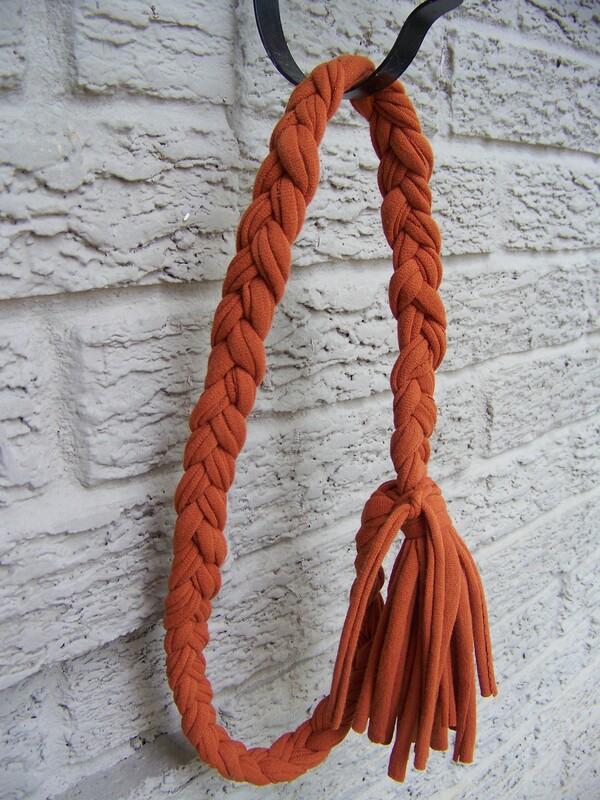 I ended up with 9 pieces of yarn in this segment so I split it into 3 groups of 3 and began braiding till I had the same distance at the other end that I left at the top. 7. 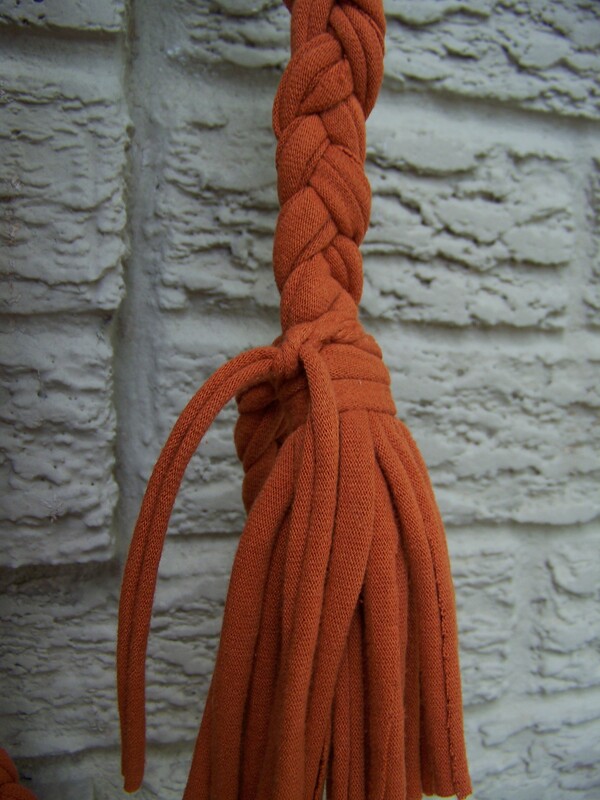 Bring the two unfinished ends together and tie the leftover strand of yarn to secure the braids from undoing. You have a finished necklace! Variation: once you finish step 2, you could splatter paint, or dye your t shirt to make it more exciting.